Thanks so much for your work on this Mark! Those pushing more charters on us in Massachusetts have deep pockets and the ability to buy their research. We depend on folks like you and Mercedes Schneider to be able to refute their dubious claims. "In 1993, the Springfield school committee, the superintendent, and I decided that we did not want a new, stand-alone public charter school. Instead, we decided to challenge a charter school organization to take over the poorest performing elementary school in the city. We chose the SABIS charter school organization, and we turned over the second lowest performing elementary school among 29 in Springfield. To accomplish this, we closed the district school in June and SABIS re-opened it in September as a charter school with the exact same students. "From the beginning, SABIS charter school students reflected the demographic makeup of the Springfield public schools. Three-fourths were black or Hispanic, and nearly all students were from low-income families. 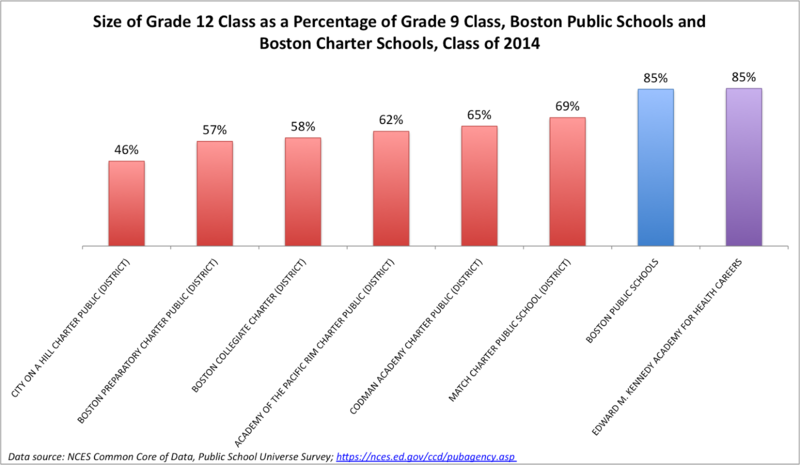 "In four years, the SABIS charter school went from 28th to the best performing elementary school in the city. Later, a high school was added, and today SABIS operates a set of highly successful elementary and secondary public schools with the longest waiting list in the city." Stephen: Did they fire all the teachers at that low performing school before the "miracle" charter conversion? Or did they keep the same staff or part of the original staff? What was the attrition rate of that new "miracle" charter school? 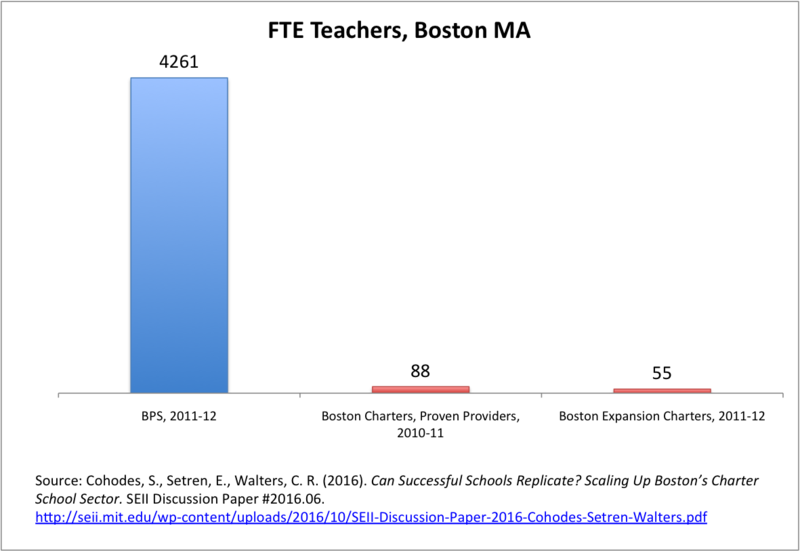 What was the churn rate of the teachers? How did the school handle admissions? 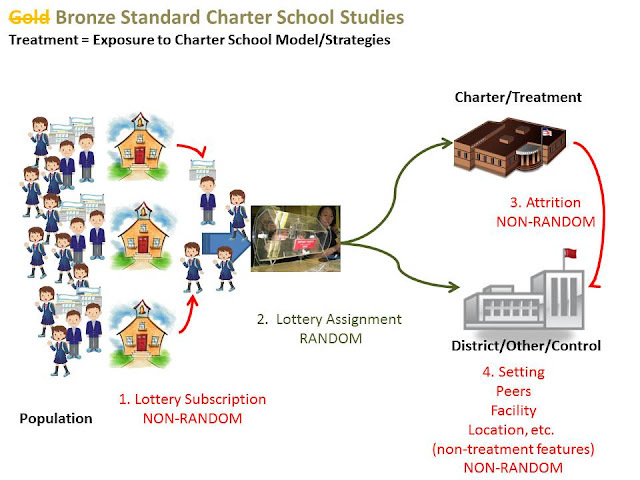 How many problem kids were counseled out or encouraged to depart the "miracle" charter school? Lottery winners vs. lottery losers is a meaningless comparison, because you are only talking about lottery entrants. Lottery ignorers are completely out of the study. A high school English teacher can understand this-- do guys like Leonhardt not get it, not care, or hoping others will not notice? Your comment on Dr. Ravitch's blog is interesting. 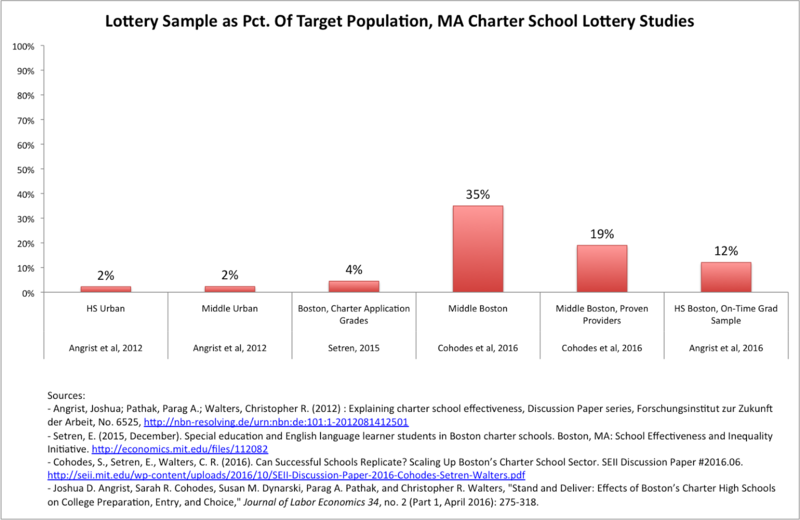 Your first point, that the results that charter schools might only be better for students who try to attend charter schools would seem to be an argument in favor of student choice. 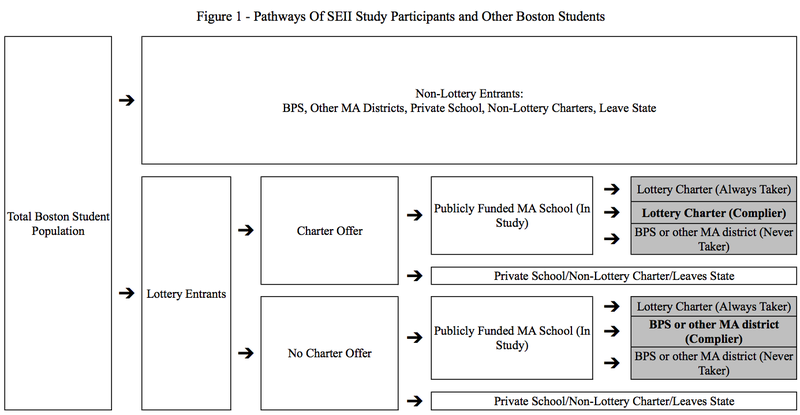 If students who do not choose to attend charter schools would not benefit from charter schools, it is good that they don't apply, right? Your second point, that charter schools are a bundle of attributes is certainly true. The attributes you pick out though are interesting. 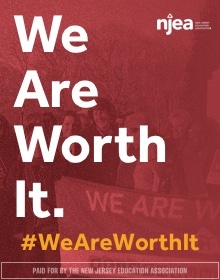 You raise the possibility that having young inexperienced teachers who do not have degrees in education result in charter school students doing better than traditional public school students who have experienced teachers and education degrees. Is that an argument in favor of traditional public schools? Good arguments, as always. 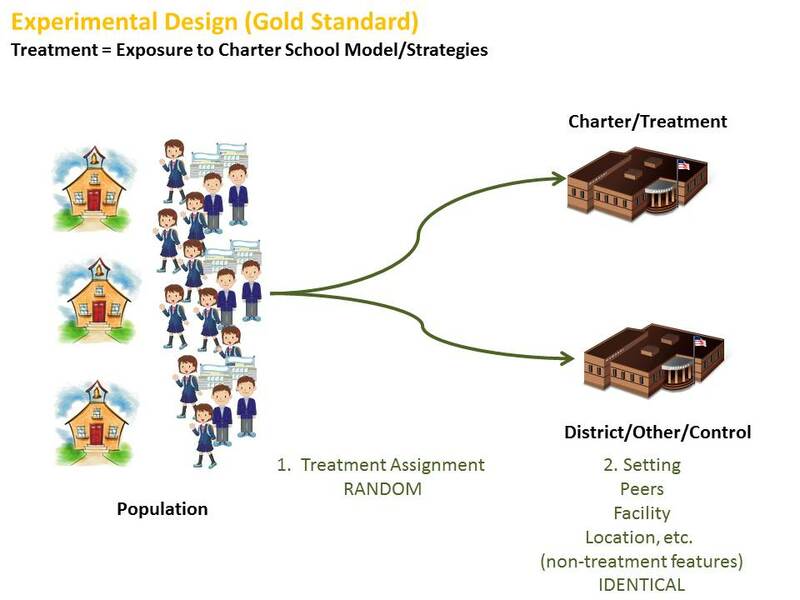 The whole issue about dealing with the entire population, not just those who attend charters, is a good one. 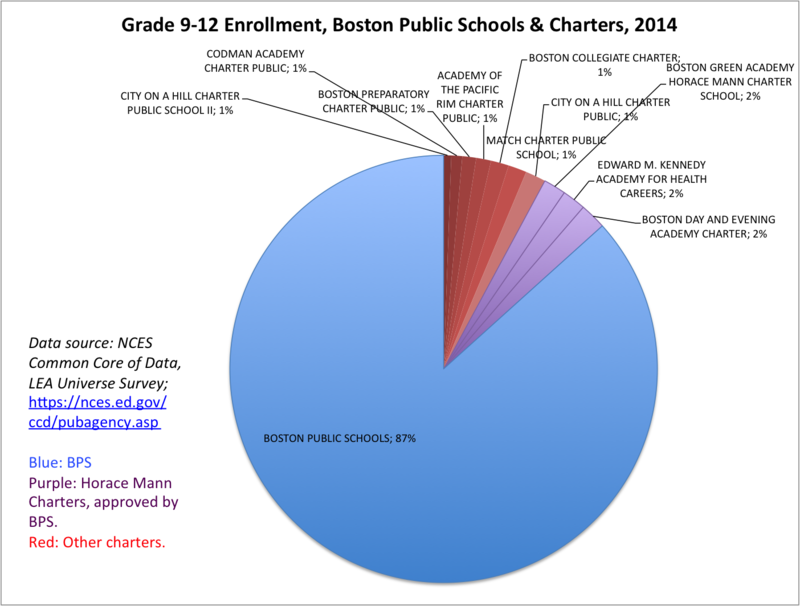 The question we have to ask is not "are charters good schools," but "are charters good public schools"? Do they help or hinder our public school program? They are paid for with public money, our money, so they are "public." 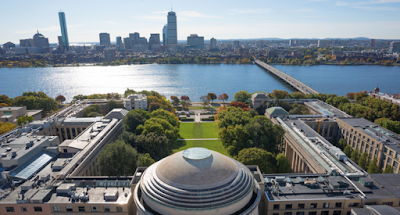 There are many good private schools out there, but that is not the point. 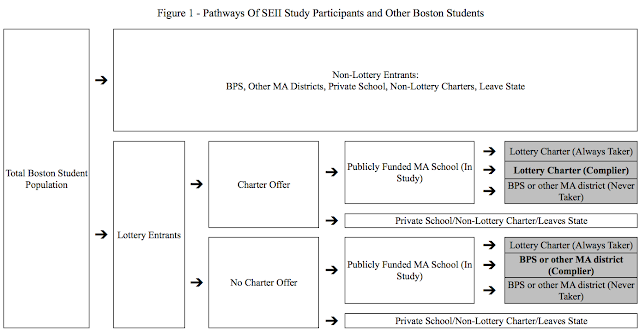 Charters are part of the public system, so are supported by the entire population. It's their effect on that population that matters, not simply whether they are good in the classroom. By that criteria, the answer has to be, "no, they are not a good addition to the public schools." They don't help other schools at all, and actually harm them. For more thoughts on the "public" nature of our school system, see my nationalpubliceducation.com.